Past National & Int'l titleholders can re-compete for our new crown & title! Each area of competition is weighted 1-20 points. The America’s SUPER Pageant is personal development opportunity for women of all ages throughout the World. The delegates who represent our state, country and international titles have beauty, style, poise, intelligence, confidence, and a strong desire to improve the world around them by promoting a personal platform and/or the national Safety Belt Use & Awareness Platform. The pageant gives these women the opportunity to advance their personal goals, while acting as a role model to those around them. 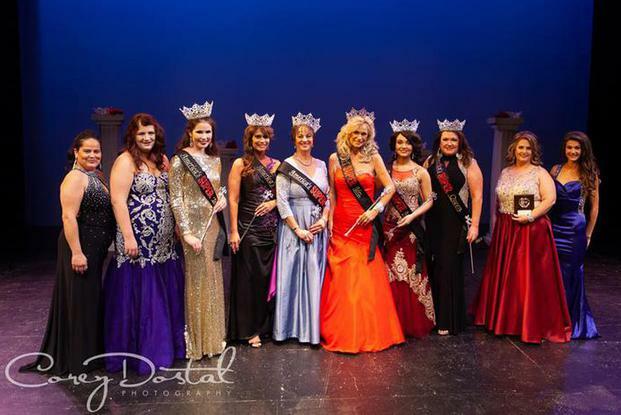 Would you like to be one of our honored title holders? Would you like a pageant that holds quality events, with amazing regalia, representing a life saving purpose, all for an affordable entry fee? Would your family like to visit the beautiful & historic Bitterroot Valley in the heart of Montana, where the natural beauty of the mountains is close enough to touch, and fly-fishing is so grand that movies like "A River Runs Through it" were filmed here? Are you a Super Hero in the lives of others? Are you a Super Mom, daughter, volunteer, role model, or friend? This pageant is for Super women, who leave their mark on the lives around them! The America's Super Teen, Miss/ Ms./Mrs. competition is directed by Janet Bierer and is being held in memory of her daughter, Allanya DaRay Thorning, who lost her life on July 18, 2010. Our custom banner is emblazed with the "Buckle Up" message to promote the platform of Seat Belt Use & Awareness. We believe that if we change one life, we may also save that life. Delegates may have their own platforms, but agree to promote Seat belt use also. Ms. Bierer has been directing pageants since 1990 on the local, state and national level from MAO preliminaries, to online events. America’s SUPER Ms. Delegates do not need to have a personal platform, but agree to promote the national platform of Seat Belt Use and Awareness on their Comp/Autograph cards and banner with the “Buckle Up” message. •Every hour someone dies in America simply because they didn't take two seconds to buckle up. •Failure to buckle up plays a role in more motor vehicle fatalities than any other traffic safety-related behavior. •The needless deaths and injuries that result from non-use of seat belts cost society an estimated $26 billion annually in medical care, lost productivity and other injury related costs. •A common cause of death and injury to children in motor vehicles is being crushed by adults who are not wearing safety belts. One out of four serious injuries to passengers is caused by occupants being thrown into each other. •Seat belts can protect a person's vital organs like head (brain) and chest (heart) from getting injured if he meets with an accident. •Safety belt use is one of the best defenses against the unpredictable actions of a drunk driver. •For maximum protection safety belts should be fastened before traveling any distance or speed. Seventy-five percent of crash deaths and injuries occur within 25 miles of home. More than half of all injury-producing motor vehicle crashes involve low speeds under 40 m.p.h. •Lap-shoulder belts reduce the risk of fatal injury to front-seat occupants by 45% and the risk of moderate-to-critical injuries by 50%. •Average inpatient costs for traffic crash victims who did not use seat belts were 50% higher than for victims who were belted. •Approximately 35,000 people die in motor vehicle crashes each year. About 50 percent (17,000) of these people could be saved if they wore their safety belts. •Motorists are 25 times are more likely to be killed or seriously injured when they are "thrown clear" than when remain inside their vehicle. Many people complain that they would prefer being thrown out of the vehicle if in an accident instead of being stuck inside. On the contrary, it is safer for a person to be inside the vehicle as one cannot be sure how would he land, if thrown out of the vehicle. •About 80 percent of all injuries to children in car crashes are injuries to the head, causing brain damage, permanent disfigurement, epilepsy or death. •Airbags alone are only 42 percent effective at providing protection. The absolute best combination for adults riding in a car is a lap-shoulder belt with an airbag. •Proper use of child safety seats reduces fatal injury by 71 percent for infants and by 54 percent for toddlers (one to four years old) in passenger cars. •If a crash occurs at 40 miles per hour, a 150 pound, unbelted occupant will be thrown from the vehicle with 6,000 pounds of force. In a 30 m.p.h. collision an unbelted 160 lb. Person can strike another passenger, crash through a windshield and/or slam into the vehicle's interior with a 4,800 lb. force. •Pregnant women always need to wear their seatbelts. It will not in anyway hurt your unborn baby. In fact, if you’re in an accident, wearing your seatbelt properly is the best way to protect the life in your belly. •Seat Belt use is lower among blacks than any other race. •Seat Belt use is higher among females than males. •One out of every five drivers will be involved in a traffic crash this year. •Motorists can increase safety belt usage by example and verbal reminders. Nine out of 10 people buckle up when asked. •Motor vehicle crashes are the leading cause of death among people age 44 and younger and the number one cause of head and spinal cord injury.